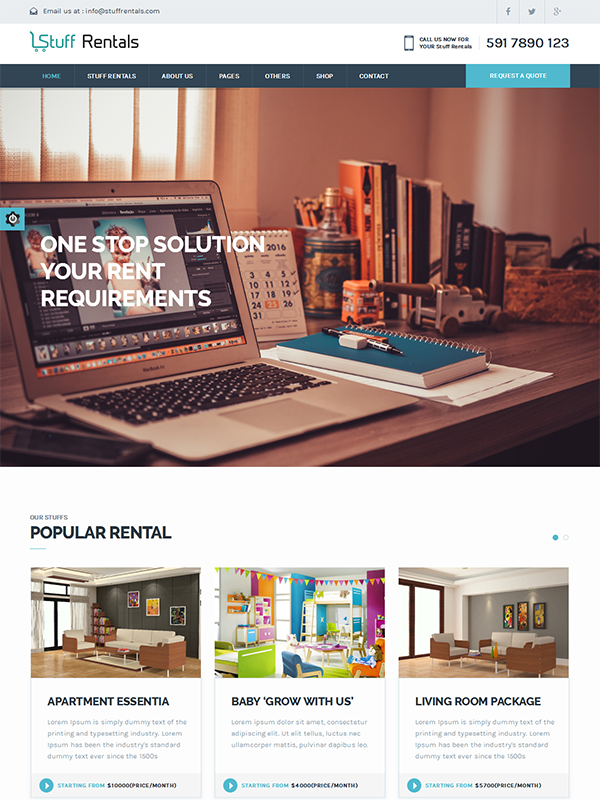 Stuff Rental is a responsive WordPress theme that is ideal to be used for websites of renting business. This WordPress theme has been designed in a way to help you build a website that offers varied stuff on rent. With the theme, you also get plugins like Visual Composer, Revolution Slider, and WooCommerce. Visual Composer Shortcodes are also made available to you. There are well-conceived options made available in the theme that are required for smooth functioning of a website that offers a range of products and other assets on rent. Choice of homepages, header layouts, blog pages, etc. lets you personalize the website according to your requirements and the taste of the target audience. We have built this theme using BootStrap 3.0 to ensure that it is truly responsive. Use of CSS media queries, fluid grid layouts, and resizeable images makes this theme mobile-friendly and compatible for devices of different screen resolutions. With Stuff-Rental Theme, you will never run out of choices. You get 5 home page layouts, 2 blog layouts, 7 header layouts and 5 footer layouts. 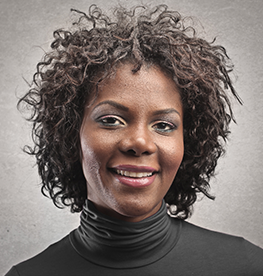 With so many options, you can personalize the website as per your wish. Using the Revolution Slider Plugin provided along with the theme, you can display your content on a slider, Hero Scene, Carousel, etc. The drag and drop editor is quite easy to use and creating new sliders is extremely easy and very less time consuming. We have equipped the Stuff-Rental theme with Visual Composer plugin that lets you add pages to your website with simple drag and drop features. Building new pages for the websites with a host of features without programming knowledge is simple. WooCommerce plugin is the considered the best plugin for adding shopping cart features to a WP website. Our theme is equipped with WooCommerce that lets you convert your website into an e-commerce portal. To help you use WooCommerce effectively and without any hassles, we also provide shop pages for the shopping cart. You can add the shopping cart functionalities using WooCommerce and use the shopping pages for their representation on the website. 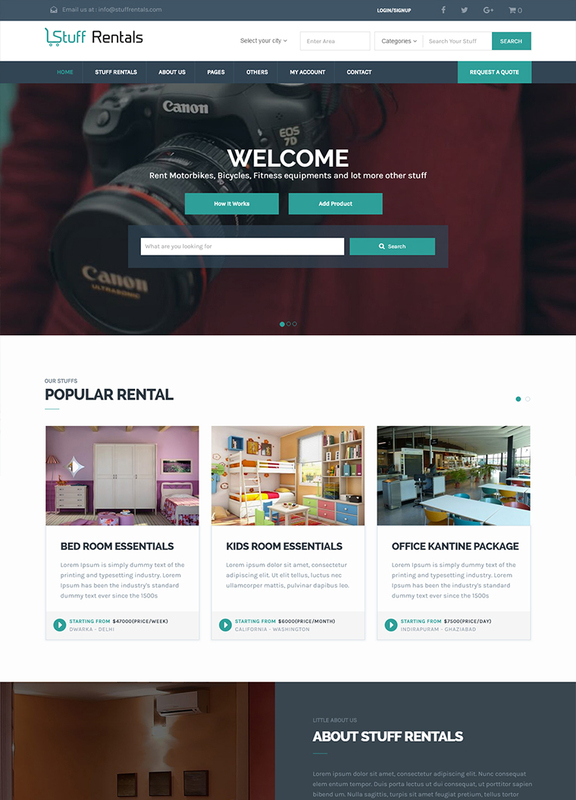 Stuff Rentals WP theme is another of our gems. Our developers have worked relentlessly to build a theme that helps you create a rental website where you can showcase the products in an appealing manner and also offer a wide range of options including rent duration, cost, etc. Equipped with Font Awesome For better customization of the website. Options of Fixed, Sticky & Intelligent Sticky Header. We have provided Google Web Font family with the theme to equip with a host of fonts so that you have a plethora of choices when it comes to adding fonts to the website. Stuff Rentals WP theme has been developed keeping the ease of installation in the mind. After you import the demo data., you need to click on “one-click installation”. To enable the store locator functions in the theme, we have adorned our theme with Google Map API to help you show the location of a particular store on the Google Map. To help you cater your mobile users with high-quality images and graphics, we have made our theme retina ready so that theme does justice to the high-definition display. We optimize the HTML/CSS code, use compressed images, and do all that is needed to keep the theme lightweight for good loading speed. The speed is also tested on GTMetrix. To keep Stuff Rentals WP theme free from all the bugs and errors, we optimize and validate the HTML/CSS code. This is how we keep our theme flawless and deliver top-notch quality.